LED lamp AquaLighter 3 Marine of professional level. Three independent LED channels. The ability to connect to AquaLighter Device for total control over lighting. 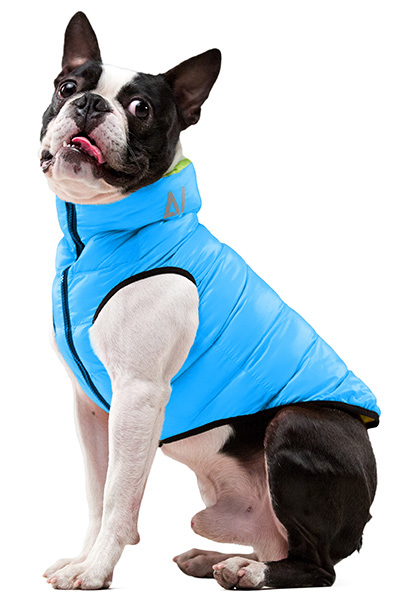 Suitable for keeping marine aquarium animals of any complexity. The professional LED lamp AquaLighter 3 Marine is a decision for total control over aquarium lighting. 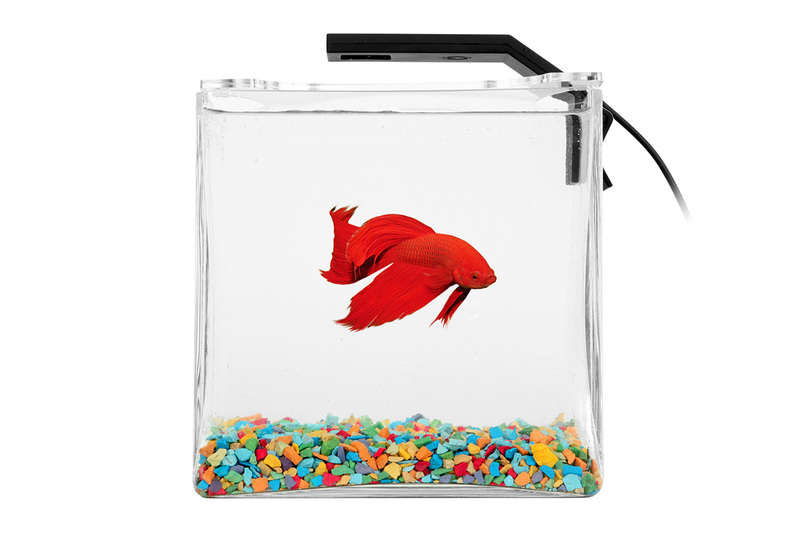 AquaLighter 3 Marine is an external, professional-level aquarium lamp designed for marine aquariums. Unlike the fluorescent aquarium lamps, AquaLighter 3 Marine creates a three-dimensional image of the aquarium. Also successfully simulates sunlight on a reef at noon. The carefully selected combination of LEDs promotes a comfortable habitat for the majority of marine animals. 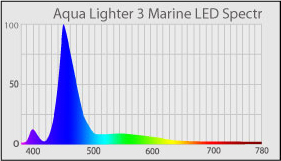 Our AquaLighter 3 Marine LED lamp features 3-channel lighting control scheme which eables creating a photic image, imitating natural underwater illumination on a reef during the day. 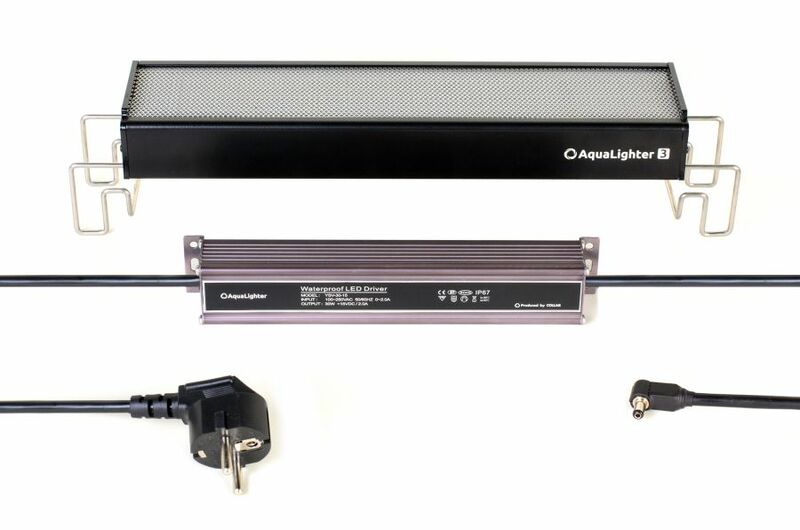 It is possible to manage lamp’s channels with the help of an external light and temperature controller AquaLighter Device (not included into the complete set). The external controller is connected to the lamp through the slot FireWire located on the front panel. The AquaLighter Device enables you to create different types of illumination such as “Sunrise-Sunset”, “Moon”, and so on; and entirely change the color temperature from actinic blue to cold white light, with a peak in the blue and ultraviolet area of the spectrum. The light sources in the AquaLighter 3 Marine are super-bright LEDs manufactured by of one of the world’s leaders, OSRAM (Germany). Adjustable mounts of AquaLighter 3 Marine (60 cm) enable to place the lamp on aquariums from 58 to 82 cm long and wall thickness up to 12 mm.